Allies Of Venezuela's Nicolás Maduro Strip Immunity From Juan Guaidó President Nicolás Maduro, through allies, is ratcheting up legal and political pressure on the opposition leader by removing his parliamentary immunity. Juan Guaidó appears before the National Assembly in Caracas, Venezuela. The rival pro-government Constituent Assembly voted to strip Guaidó of his parliamentary immunity. Venezuela's Constituent Assembly voted unanimously to strip self-proclaimed interim president Juan Guaidó of immunity in a move his supporters fear may signal the impending arrest and prosecution of the opposition leader who is challenging the rule of President Nicolás Maduro. Until now, Maduro has refrained from jailing Guaidó, who has the support of the Trump administration and several dozen other countries. The Constituent Assembly is loyal to Maduro. Guaidó declared himself interim president in January and has led several public mobilizations seeking to convince Venezuelans that he can succeed Maduro and help lead the country out of its political and economic crisis. The Constituent Assembly's action came after Venezuela Supreme Court Justice Maikel Moreno, a Maduro ally, called for Guaidó's prosecution for violating a government travel ban. In late February, Guaidó slipped out of Venezuela and spent a week trying to rally support for his claim to the presidency from European and South American nations. The opposition leader is also accused of inciting violence and receiving illegal foreign funds. 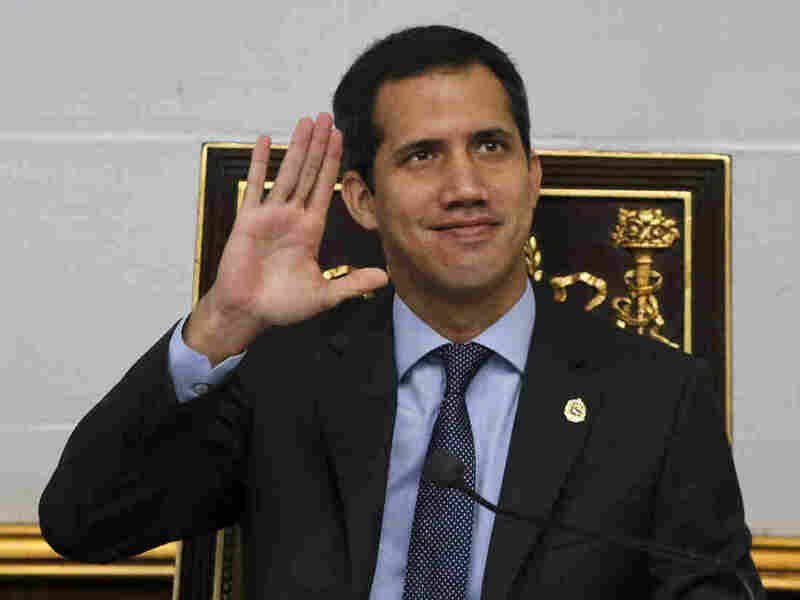 Last week Venezuelan state comptroller Elvis Amoroso, another Maduro ally, barred Guaidó from holding public office for 15 years. Before the vote by the Constituent Assembly, Guaidó criticized it and the Maduro-aligned Supreme Court. "This is not even a persecution," he said as quoted by Reuters. "This is inquisition." The Maduro government has increased its pressure on the opposition in other ways. Last month government agents detained Guaidó's chief of staff, Roberto Marrero, in an overnight raid of his home — a move Guaidó condemned as a kidnapping. Guaidó's wife, Fabiana Rosales, was in Florida Tuesday meeting with state leaders and Venezuelan exiles. A news conference with Gov. Ron DeSantis was delayed by concerns over a safety "situation" in Venezuela — reportedly related to Guaidó's safety.